Winter has arrived. Temperatures drop, snow settles over the peaks of the Smokies, and colored lights start to sparkle downtown. Things get a little frosty during the holidays in Knoxville, but the city never shutters and rarely slows down. 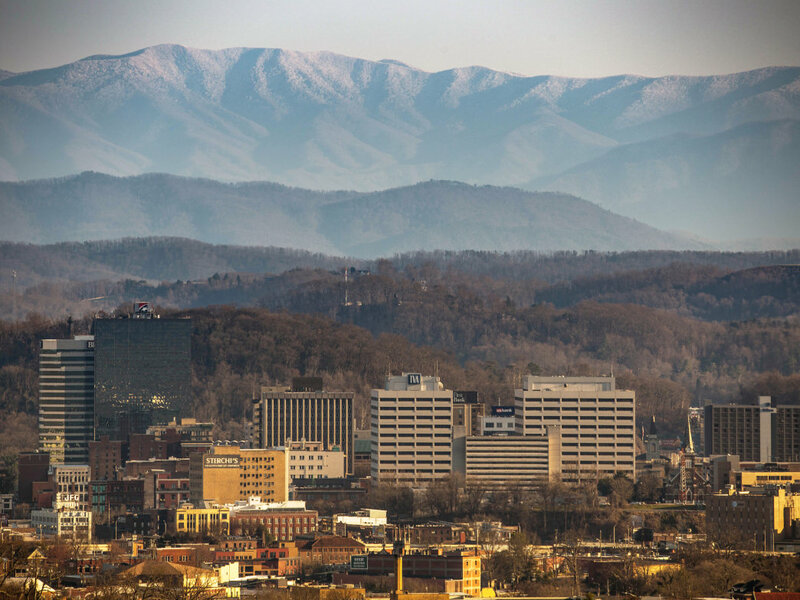 Whether you’re looking to cozy up indoors or brave the cold to explore the scenery, the holiday season is one of the best times of the year to visit Knoxville and soak up the cool mountain vibes. The city is decked in festive cheer, from pop-up markets to parades, and of course one-of-a-kind outdoor adventures at your fingertips. 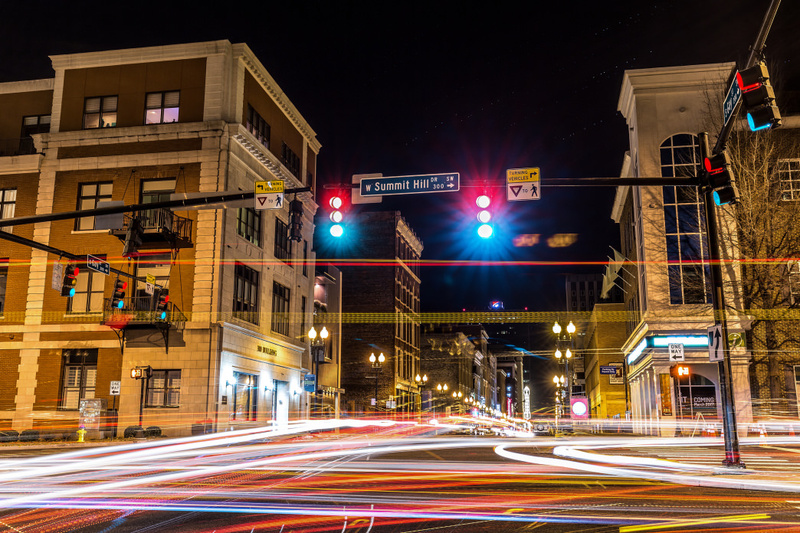 Knoxville’s city center takes on new life as cooler air settles in the Tennessee Valley, ushering in often whimsical holiday traditions, get togethers, and of course shopping. Start out with a tour of Market Square and Gay Street, where you’ll find seasonal ice skating, dazzling ropes of holiday lights lining the streets, and a plethora of mom-and-pop shop stocked with unique gifts and oddities. The official start of winter may be marked by the annual Celebration of Lights on November 24, a city-hosted event that includes a tree lighting, crafts and music, and that also coincides with the opening of the "Holiday on Ice" skating rink on Market Square. It’s a milestone signalling the festivities to come. December kicks off with the annual Christmas Parade, a fun-filled family event of lights and floats and music that tours downtown and the Old City (get there early to grab a seat curb-side). Not one for the sidelines? Show off your own holiday cheer during the Tour de Lights bike ride Dec. 15. There’s hot cocoa, tons of bikes and libations, and costume competitions. Arts, food, and crafts line brick sidewalks for the yearly Market Square Holiday Market, a perfect stop for last-minute gifts Dec. 23. Stick around for New Year’s Eve and join the party at a number of local bars and clubs downtown and in the Old City. Also for the holiday season, Knoxville is sponsoring the Elf on the Shelf Adventure. The scavenger hunt, which runs the entire month of December through Jan. 7, invites shoppers to search for Santa’s magical helpers in at more than two dozen locations in downtown Knoxville. Visit any of the participating locations and pick up your Elf on the Shelf North Pole Pass, then collect a store stamp at each elf sighting. Diligent seekers collecting 20 or more stamps will be entered to win grand prizes of downtown merchandise and gift cards. There will also be lots of fun, treats, and additional prizes along the way. Share where you find Scout Elves on social media using the hashtag #elvesinknox. Knoxville is in no short supply of outdoor attractions, many just a short jaunt from downtown. Pull on gloves and a beanie, rent a bike or walk, and set out to explore more than 80 miles of paved greenways that crisscross the city. 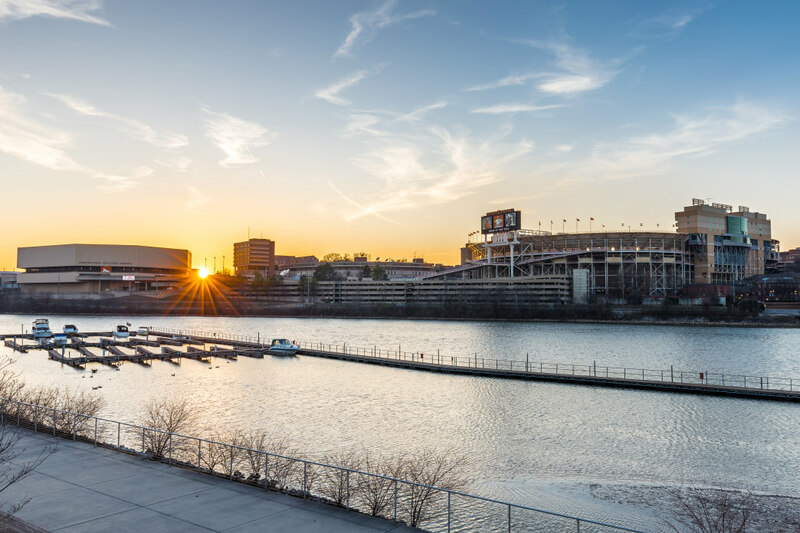 A popular segment is the Neyland Greenway that follows the banks of the Tennessee River at the edge of downtown, a perfect outing to check out the views and lights of Gay Street Bridge. The infamous Three River Rambler train disembarks nearby, transforming into the "Christmas Lantern Express" for select dates in November and December, offering a holiday-themed chug along complete with snacks and a visit from Santa. Hike to the top of Sharp’s Ridge for stellar views of Knoxville’s skyline and, on clear days, the western range of the Smoky Mountains. Two abandoned quarries, which are popular swimming holes during the summer, still splendor in the winter and offer a tranquil reprieve from the bustling city—even though they’re just a few miles south of downtown. Mead’s Quarry at Ijams Nature Center is the most accessible. Follow the trail around it’s shore to Tharp’s Trace, where you’ll find a steep trail up to a small historic graveyard where quarry miners are buried and nice views of the quarry below. A fun and easy way to take in the winter wonderland is to simply drive through the Great Smoky Mountains National Park. At times the hills are hushed by winter’s snow, and the often tourist-clogged roadways during the summer are free and clear in the cold. 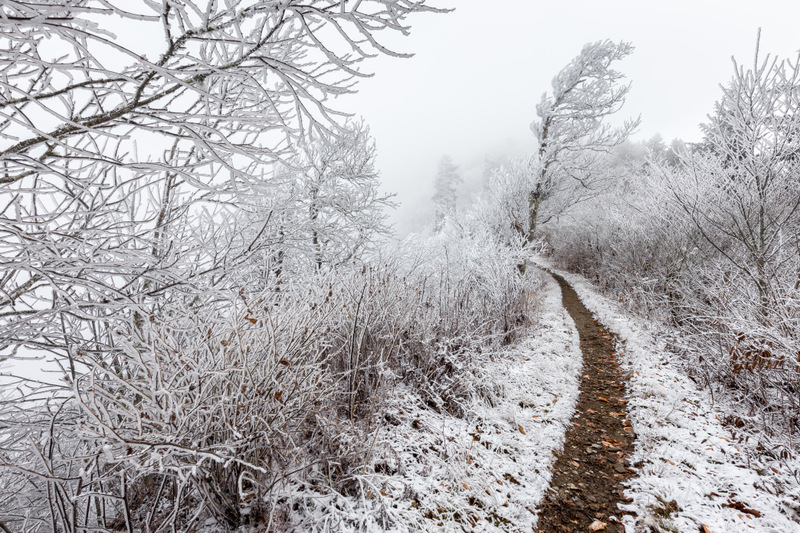 If that’s not active enough, you can always forage along the Appalachian Trail for hoarfrost, long spindles of frost that build up overnight in freezing, humid conditions. Make sure you’re prepared before setting out into the wilderness. Carve lines in the snow at Tennessee’s only ski resort, Ober Gatlinburg, located just outside the entrance to the Smokies. Or venture out to one of the nearby state park in search of frozen waterfalls. The closest safe bet is Frozen Head State Park northwest of Knoxville, though this list of amazing waterfalls around East Tennessee is worth a look when planning an adventure. But let’s face it, not everybody is so cold-blooded. The good news is you don’t have to freeze your fingers off to be active around town. Jump Jam is an indoor obstacle course and playground designed for both adults and kids (they even offer adult-only times). It’s packed with trampolines, rock walls, and even a ninja course to test your speed, strength, and agility. Inside or out, you’ll find plenty of things to love this holiday season in Knoxville. 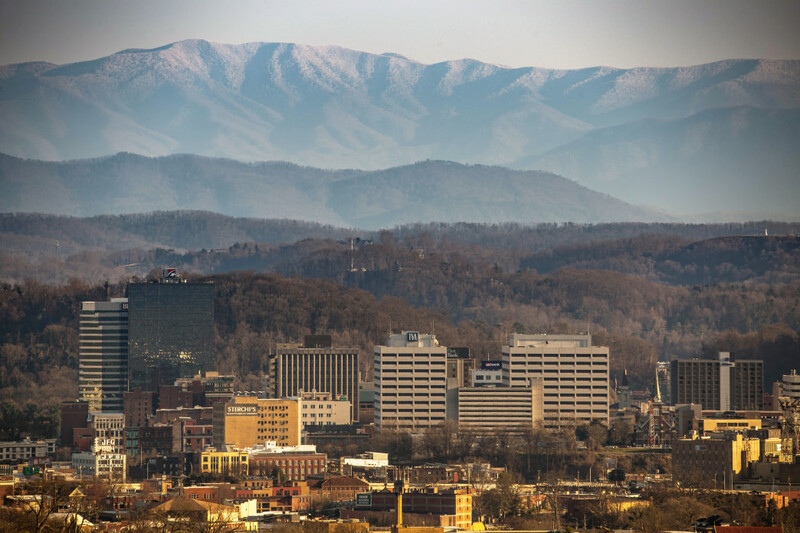 Originally written by RootsRated Media for Visit Knoxville.